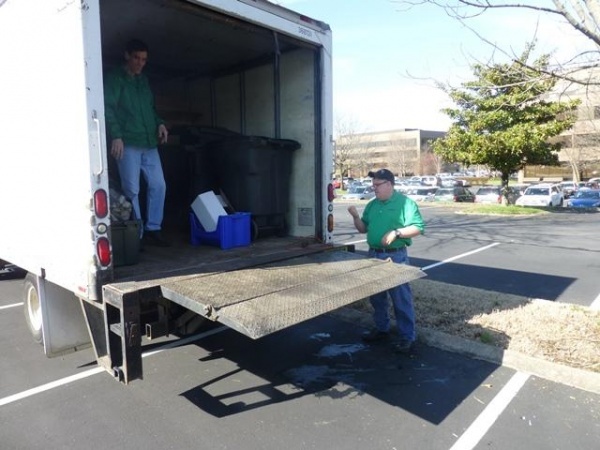 Waves' Recycling Program Helps Disabled Reach Potential - Waves Inc.
For the past 15 years, Michael Deinert and Van Williams have been dedicated to their recycling pick up route. During that time, they have come to memorize their way through the maze of cubicles, form relationships with office employees and carry out their tasks with professionalism. As a result of their hard work, they are among the longest running employees at Waves, a non-profit dedicated to enabling individuals with intellectual and development disabilities to progress toward their full potential. 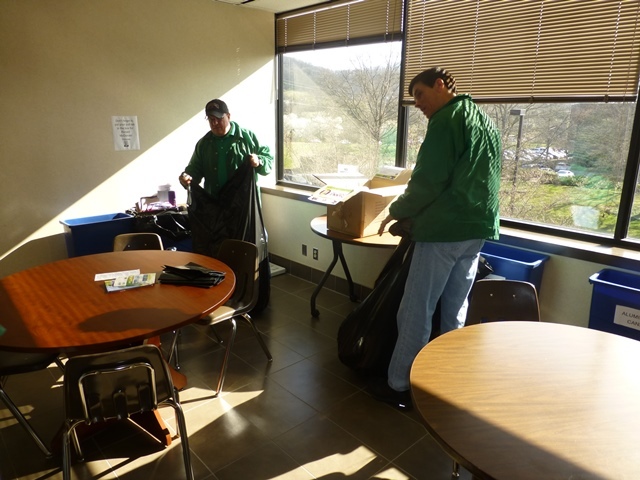 The Waves Office Recycling program serves over 70 businesses in Williamson County, all of which are visited by Deinert and Williams. 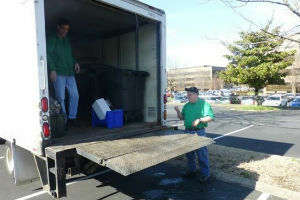 “We’re trying to make Williamson County the greenest county in the state,” said Tom Schmidt, recycling coordinator. Schmidt began working for Waves last July, and plays an integral role in the pick up route. While Deinert and Williams are encouraged to work as independently as possible, bigger tasks such as driving and coordinating pick-ups are Schmidt’s responsibility. Schmidt has a long history of work in rescue mission ministries with individuals suffering from drug addiction and homelessness. According to Schmidt, working with mental disabilities was a new experience, but a natural transition. Deinert and Williams are constantly encouraged to perform tasks independently and develop personal relationships. The results are incredibly beneficial. “A large part of what we do is get the person as independent as possible. We define a high quality of life as being an independent one. Having a job, getting a paycheck and being around people enhances self-esteem and relationships,” said Emily Layton, Development and Community Relations director for Waves. 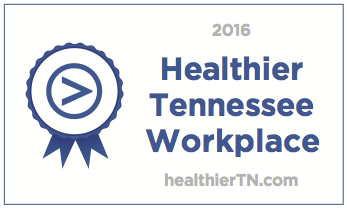 The team travels to office buildings all over Williamson County, from Brentwood’s Maryland Farms to Cool Springs and downtown Franklin. Deinert and Williams work between 20 to 25 hours Monday through Friday, and are paid for their efforts. While on their route, Deinert and Williams greet passersby, talk sports and joke with office employees. “I love the job. It’s a lot of fun,” Williams said. According to Layton, the engagement is part of bigger shift in attitudes toward the mentally disabled. “It used to be people with intellectual disabilities were closed off, but we are seeing the true value in immersing them in the community,” Layton said. Williams, 50, currently lives with his mother, and Deinert, 41, resides in a group home. The duo has been working together the entire 15 years of employment. While private providers cover the cost of healthcare, the wages earned through Waves goes toward spending money and a savings account. Each Waves employee is provided with a financial consultant to help manage funds. Waves started its recycling program in 1994, but has been assisting individuals with intellectual and development disabilities since 1973. Today there are over 100 full- and part-time employees as a result of Waves. The employment services program includes vocational training and job placement. Schmidt listed Kroger as the largest employer of Waves trainees. Waves also features a residential/independent living program, which operates eight homes and four apartments with around the clock support. The service now houses 27 individuals with mental disabilities. 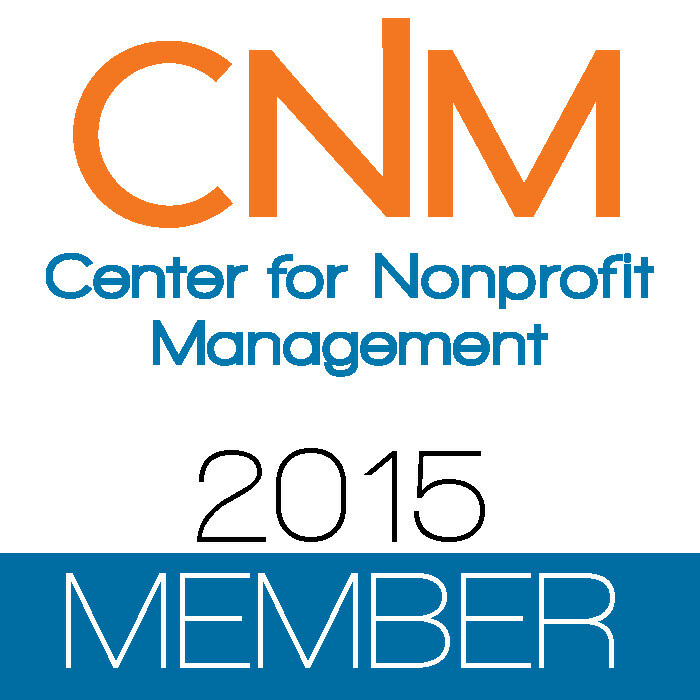 “We provide a wide spectrum of needs and services. We want them to be as independent as possible, but we fill in the gaps where it’s needed such as a ride to the grocery store or help paying bills,” Layton said. Waves offers day programs in Franklin and Fairview that feature arts and crafts activities, field trips to local museums, and recreational therapy such as walking and swim classes. The Early Childhood Learning Program is another main focus of the organization, which hopes to intervene at an early age to enhance mental development. “From birth to age 3 is a huge time frame for development. We’ll send staff to family homes to provide play-based early learning and developmental assessments to get the child on track before entering the school system,” Layton said. For now, the Waves recycling program only consists of its three employees, something Schmidt is hoping to change. “A goal of mine is to make other teams for smaller pickups,” he said. “We offer very low costs for pick ups, and the people in Williamson County are very giving and understanding people. “We’re not in this to make money; we are here to offer services and employment to the mentally disabled,” Schmidt added. Can you tell me the cost of the office recycling service, how often the pick-ups occur, how the recycling items have to be separated, etc. ?